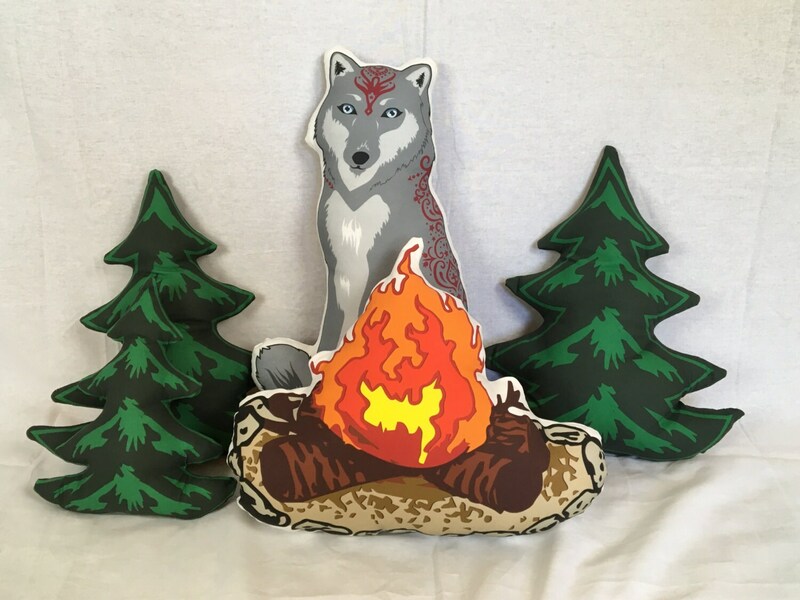 Campfire decorative pillow. 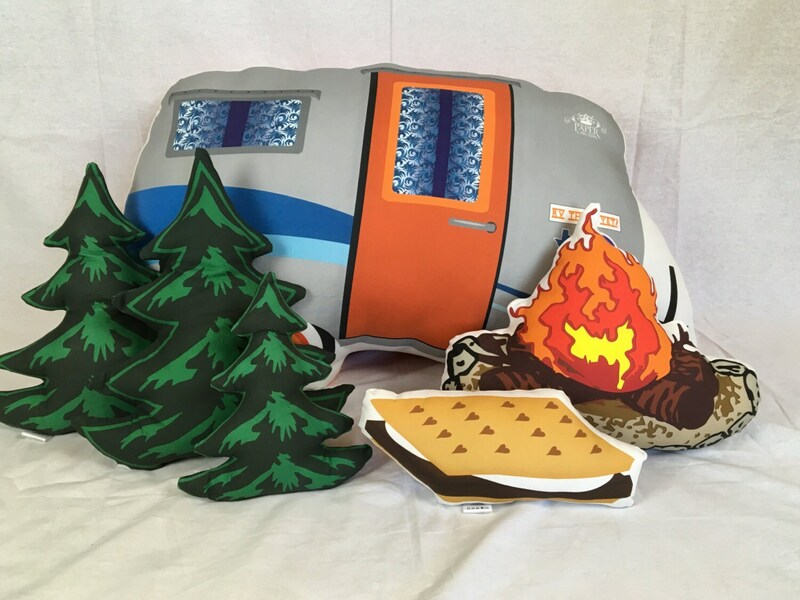 This plush campfire is 13" tall by 15" wide. Designed by me and printed to sturdy cotton/linen fabric. Cut, sewn and stuffed with love by me. 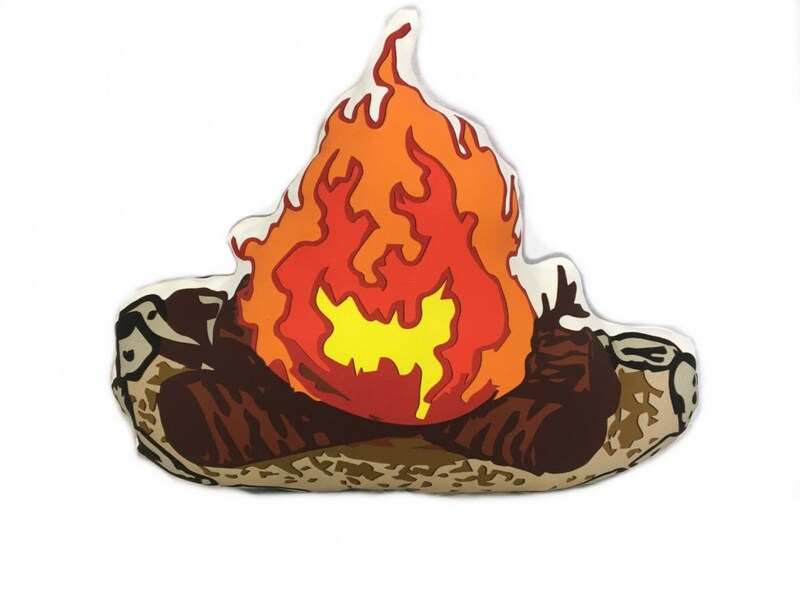 This cute decorative campfire is stuffed with 100% polyfil. It makes for a great fire in any pretend fireplace or camp scene.